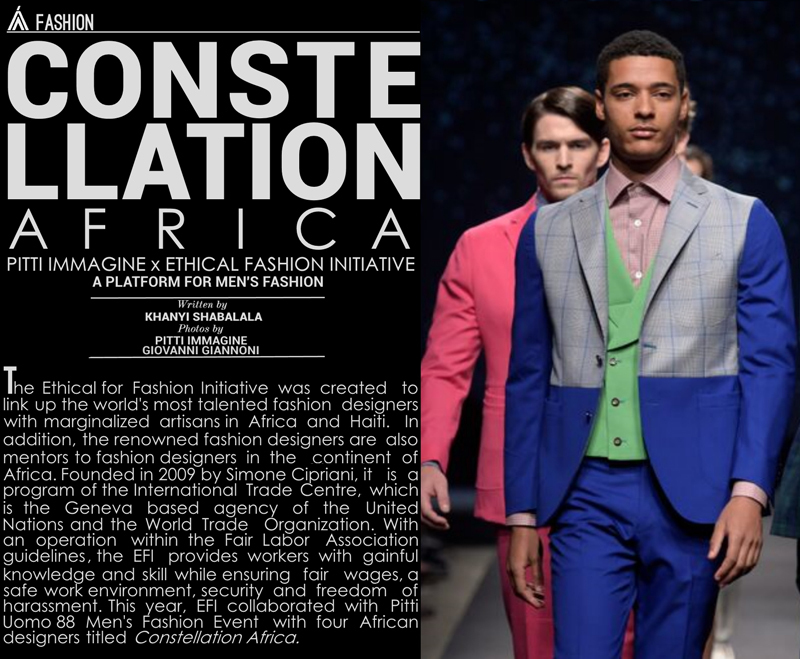 The Ethical Fashion Initiative also enables Africa’s rising generation of talented fashion designers to forge environmentally sound, sustainable and fulfilling creative collaborations with local artisans. 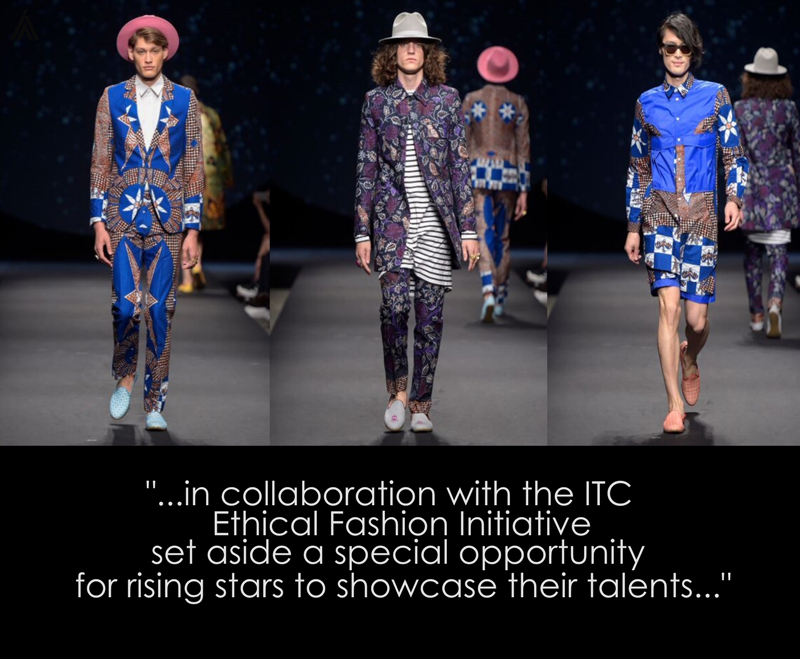 Under its slogan, “Not Charity, Just Work,” the Ethical Fashion Initiative advocates a fairer global fashion industry. With such distinct creative and artistic edge, these four designers were wasted no time in giving the audience a reason why they were picked for this year’s event. Fashion house Orange Culture by Nigerian designer Adebayo Oke-Lawal is a contemporary menswear brand created in 2011. 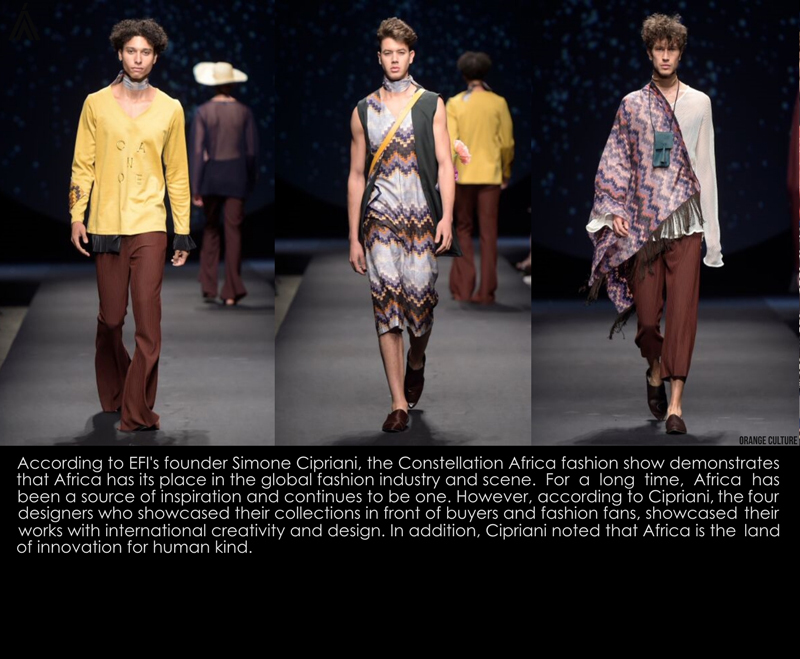 The brand combines classic and contemporary western silhouettes with an African edge. 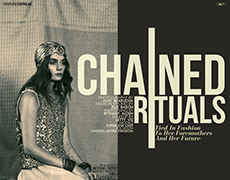 Orange Culture fuses Nigerian silhouettes, print fabrics and contemporary urban streetwear. Orange Culture is considered to be more than a clothing line - it is a movement for a creative class of men that are well aware of themselves; who are expressive, explorative and art-loving nomads. 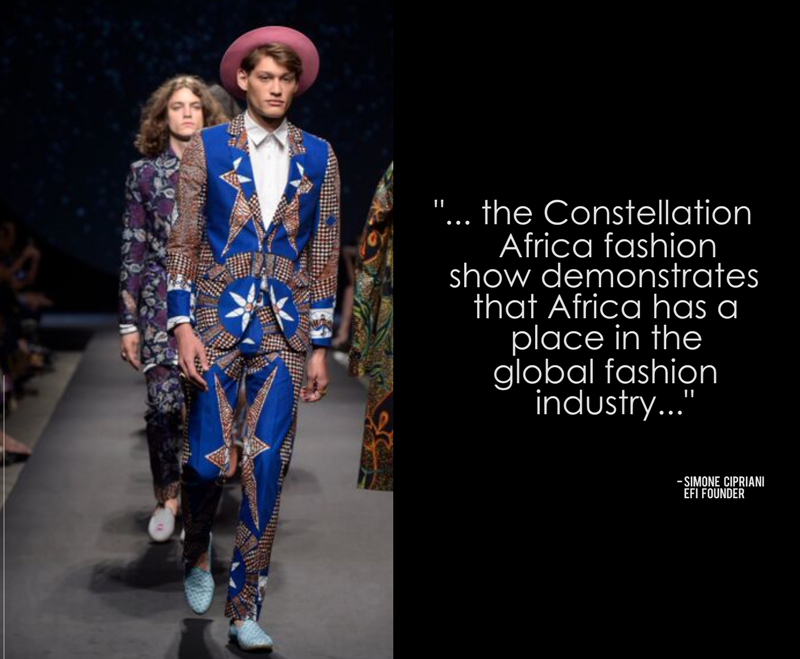 Orange culture has been featured by top fashion magazines and was recently shortlisted by Vogue Talents for Africa and LVMH’s 2014 Young Fashion Designer Prize. The South African label MaXhosa by Laduma is by Laduma Ngxokolo who created this South African traditionally inspired knitwear brand in 2010. 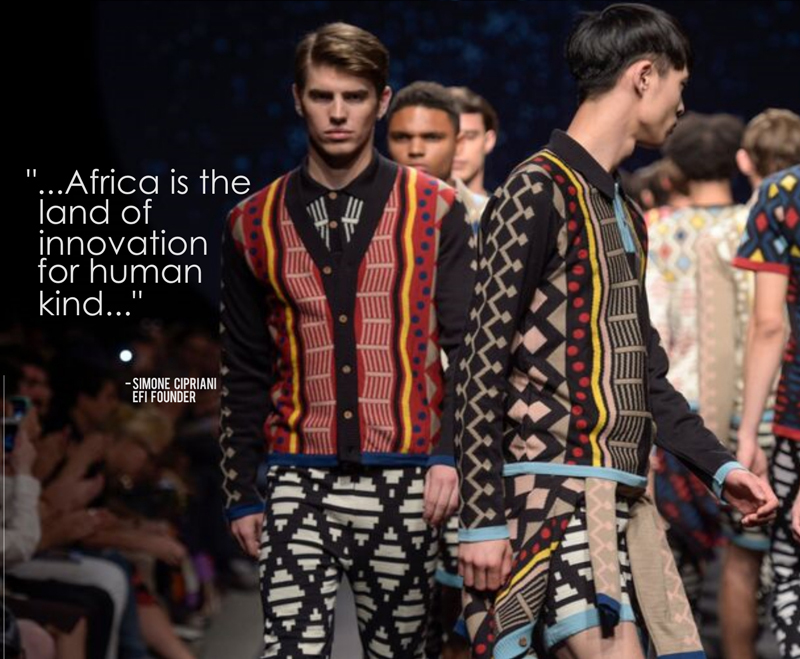 The South African Xhosa manhood initiation ritual practiced by amakrwala was behind the launch of the brand as Laduma sought to create Xhosa-inspired modern knitwear that would be suitable for this tradition. Since, the Xhosa aesthetic has come to be part of the DNA of the knitwear brand as Laduma explores and reinterprets traditional Xhosa beadwork, patterns, symbolism and colors to inspire his modern knitwear line. Through his work, Laduma is considered an agent of change, shifting and evolving with the changing times in of the fashion world and the everyday person. 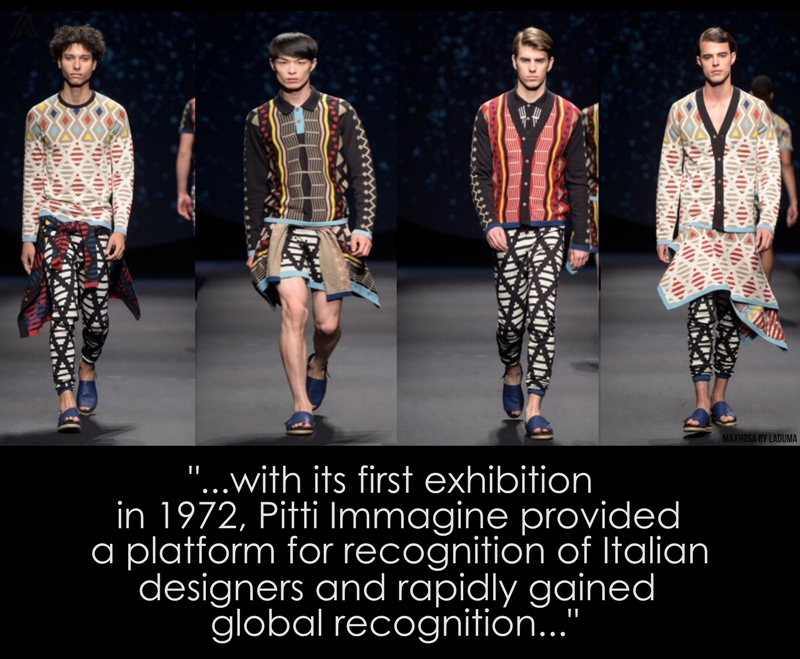 Thus, he further engages in the dialogue that keeps pushing traditional culture toward the future. 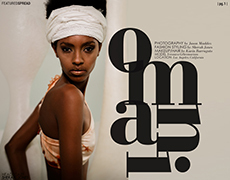 Tekasala Ma’at Nzinga & Shunnoz Fiel, creators of this Angolan brand Projecto Mental started in 2004 by fusing fashion and art. The brand was created in the aftermath of the civil war as a platform to help reshape Angola's cultural identity, after the country was ravaged by decades of the war. Suits with an experimental twist are the signature items of the brand. Projecto Mental takes an avant-garde approach to tailoring as the designers re-imagine and re-invent the traditional suit for men and women. Strong block colors combined with prints & patterns bring boldness to each design. 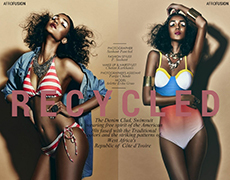 Dent De Man was created by British-Ivorian designer Alexis Temomanin in 2012. 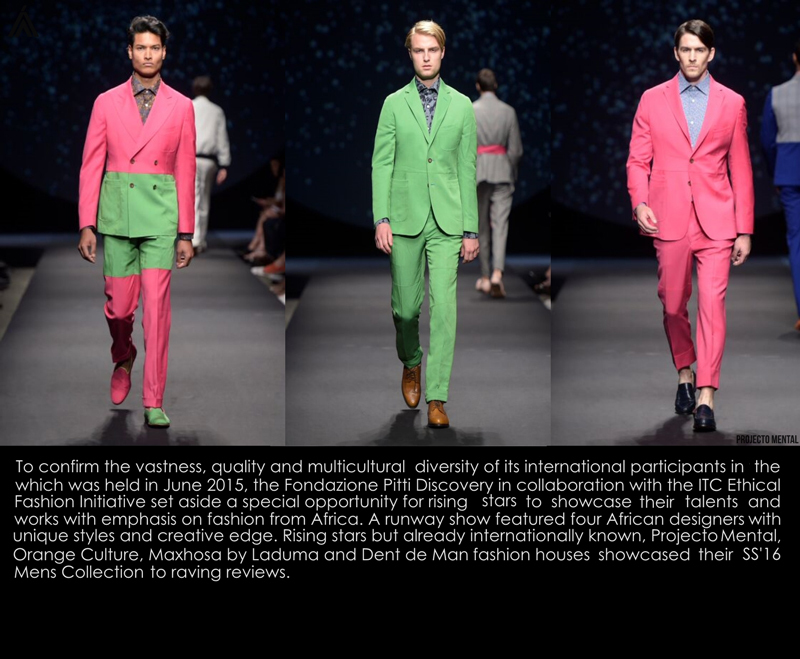 Dent de Man’s approach to luxury style is defined by a mix of classic tailoring with colorful patterned fabric. The Dent de Man lifestyle is defined by freedom, quality and esthétisme; empowering individuals to dress for themselves. Self-expression is core to Dent de Man’s philosophy. 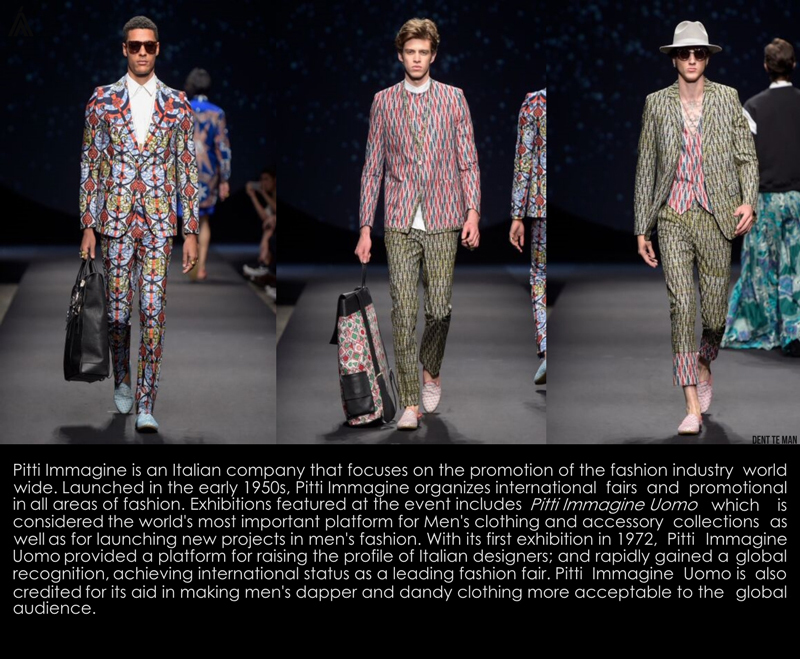 The brand prides itself on the use of vintage fabrics and celebration of ancient printing techniques; and Dent de Man adapts decadent and bold Java prints forming unique garments that allow individuals to own distinctive and irreplaceable pieces. All Dent de Man fabric is carefully sourced and possesses its own story and meaning.